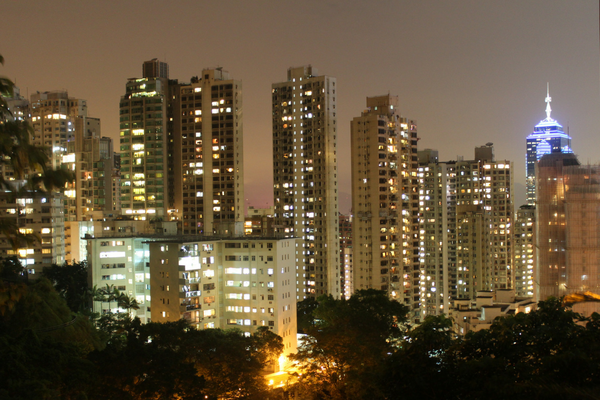 Looking for healthy activities to do in Hong Kong? I strongly recommend climbing Victoria Peak at sunset. A fabulous way to orientate yourself with this magnificent city while also burning off some calories – I call it winning at travel. To be honest, I fell in love with Hong Kong almost from the very first minute I stepped out of the metro station and into the thick wall of steamy humidity. Sure, I was sweaty and uncomfortable, but all of my senses were overloaded with colour, flavour and excitement. As I walked down the crowded street to my overpriced hotel I couldn’t help but marvel at the juxtaposition of traditional dried fish sellers underneath giant glass skyscrapers or the butcher hacking up roast duck in the street right outside a 7Eleven. I reached my hotel just in time as a giant earth shattering storm broke, downing out the sounds of the city, giving me a unique sense of isolation in such a crowded city. 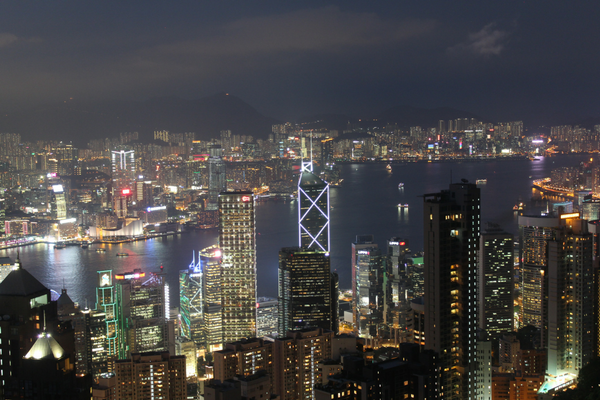 Hong Kong is made up of several islands with the main one being aptly named – Hong Kong Island. It is a great neighbourhood/island/urban jungle to explore by foot, around every corner is something different and exciting – from wall gardens to underground bars, to markets and secret alleyways. The best way to see it all is just to trot around getting a little lost when you can. Despite its reputation it isn’t an over large city for a tourist, the areas that are of interest are fairly easy to get to. Due to the geography, most of the city sits on the edge of the island leaving the centre to the giant jutting peaks and the wilderness. Therefore, if you head downhill you will eventually reach the harbour, and if you go uphill you will eventually run out of civilisation and end up at Victoria Peak. 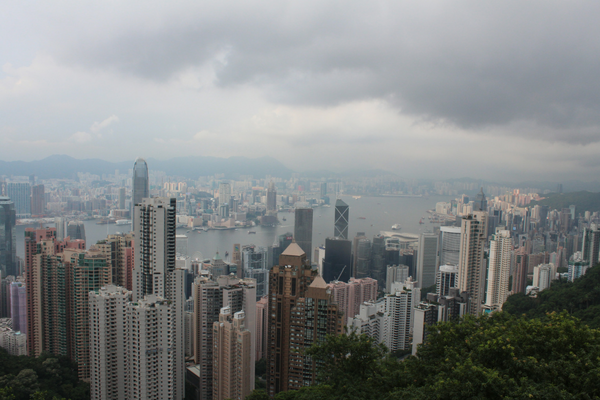 Victoria Peak is a massive tourist attraction, for good reason, the views are amazing… oh and it’s free! There are really only two ways to get up to Victoria Peak – the tram or…walk – I bet you can guess which one I recommend. Crowds – The tram does look romantic with its colonial red paint, gliding up through the rainforest, through the clouds to a peak barley insight, that is until you see how many other people are waiting to get on. The queues do move fast but my problem was with the sheer number of people waiting to get on. I don’t like being squeezed into a small tin object with a bunch of other people… I will leave that to the sardines. Cost – it’s an obvious reason for a backpacker, walking up saves you some serious money, as the tram isn’t cheap. Spend that money on some water and an ice cream when you reach the top. your next batch of dumplings. Escalators – one of my favourite things about Hong Kong is the outdoor escalators, you can get about a quarter of the way up to the midlevel’s using the world’s longest undercover outdoor escalator network. A lot of fun and is a great way to note a few places to come back and explore later. The View – now obviously the view from the top is amazing, but the views you see as you stop to catch your breath on the way up are also pretty spectacular. Watching the view develop and emerge through the trees as you get higher is like unwrapping a Christmas present really slowly. 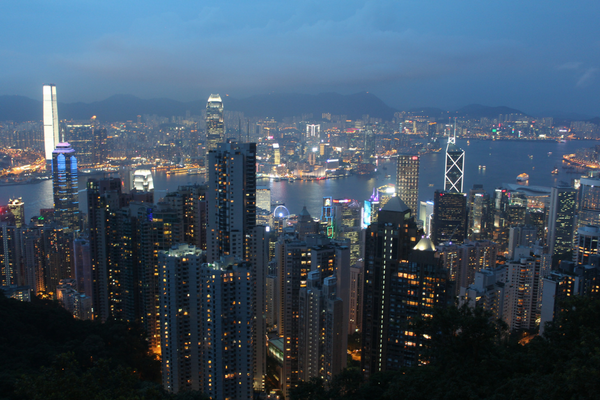 Change of Clothes – If you are planning on spending the money you saved by not catching the tram by doing a sunset dinner at one of the somewhat reasonably (by Hong Kong standards) restaurants, pack a change of clothes. If you walked up you will be dripping… not joking or exaggerating… with sweat. A change of clothes is a nice way to freshen up somewhat for dinner, and then you won’t stand out like a sore thumb against all of the beautifully dressed people who took the tram up. Water – on the theme of humidity, take water, lots of water. Hydrate – there are a few carts and small grocer style shops that sell water for cheap, go there instead of one of the bars. Variety of Views – A lot of people get up the top, stake out a spot and then don’t move. 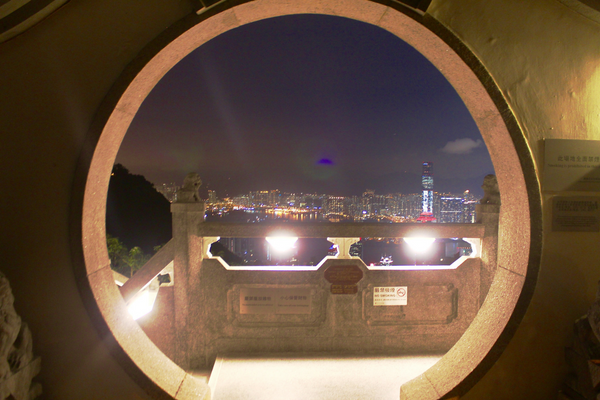 Definitely walk around the peak and see the view from all angles. Not just over the main city and the island, but go to the other side and look down on Aberdeen. Grab a bite to eat – there are a number of restaurants with balconies for you to view the sunset while grabbing a bite to eat. Get in early and set up your spot as come sunset these places are packed out. If you are heading to Hong Kong, I strongly recommend climbing and not tramming up to Victoria Peak. However if you are going in the warmer months – remember the humidity! !